Oklahoma SkinCare uses only the finest professional-grade products for your skin. 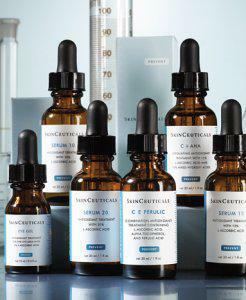 We use SkinCeuticals and Image Skin Care lines for both home use and our in-office treatments. We also offer products that have proven to be outstanding for individual applications, such as Teamine Eye Cream and Nectifirm.